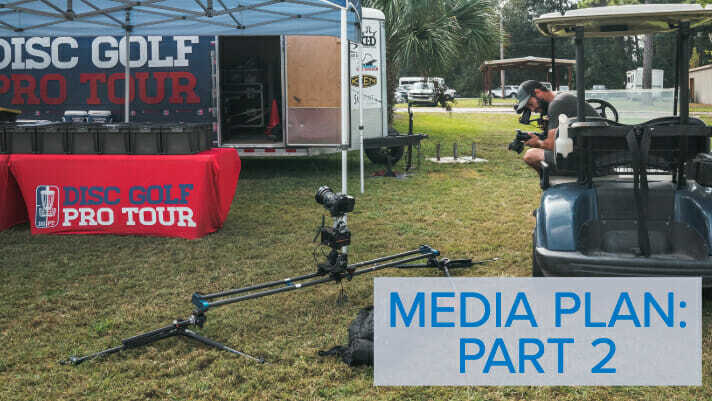 With the release of the second part of its 2019 Media Plan, the Disc Golf Pro Tour has offered some clarity on outstanding questions but left a lot more to be revealed. “People were waiting and wanting to know some of that stuff in terms of parts and people — the specific equipment and specific people,” DGPT Interim Director of Public Relations Jeff Spring told Ultiworld Disc Golf. “We’re going to continue to roll that information out and we’re not that far away from everybody meeting the people and seeing the equipment. 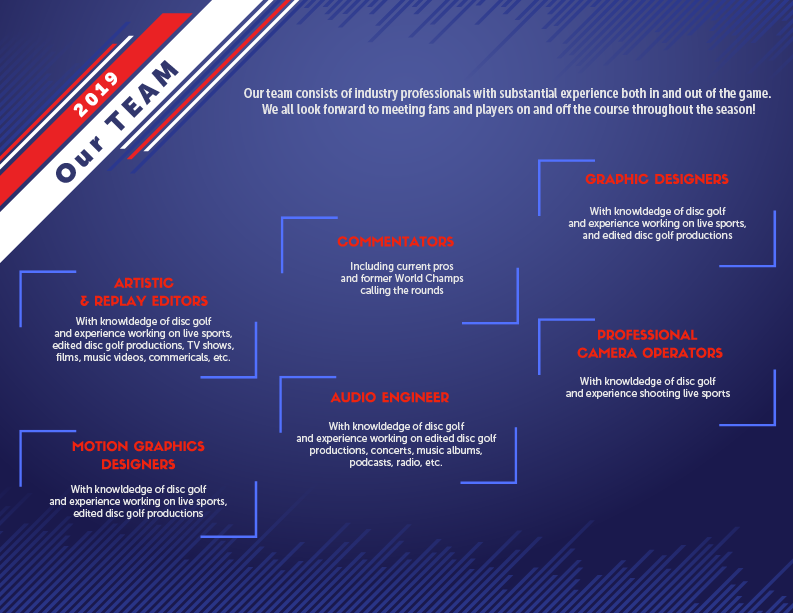 In the second part of the media plan, a general workflow for coverage was provided with defined roles, including a Technical Director, and three editor positions — rough, motion, finish. Spring said the identities of those filling roles will be rolled out in the coming weeks leading up to the first DGPT event of the season at the Memorial Championship, February 28-March 3. More anticipated announcements include commentators, which the DGPT says will feature current pros as well as former world champions. There is no timeline on when to expect news on that front. For gearheads, the lack of itemized camera equipment and technology the tour would be using was a bit of a letdown, but Spring says it’s all ready to go. The release reiterated that the DGPT was not able to come to terms with some existing media crews for 2019, but it does say that “Commercial Media Team[s] will have an opportunity to set their own feature card on day one and pick a card to cover on subsequent days.” This does not include cards DGPT will already be covering. With plenty more to be finalized before the start of the season, Spring is feeling positive with what the DGPT will debut in Arizona. “We’re going to have a really high quality and progressive broadcast,” Spring said. 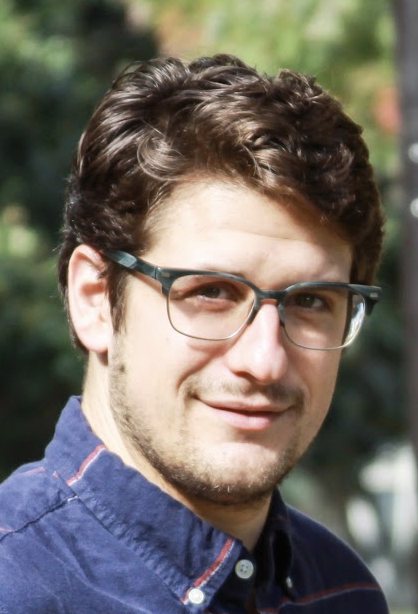 “We have our team confident and ready to go, and we’re excited to produce a broadcast that I think everyone will enjoy immensely. Comments on "Part Two Of Disc Golf Pro Tour Media Plan Provides More Clues To Coverage"